Burning Moon's Inside advice: Find deals & savings with Groupon! Just like having kids, pets can get pretty expensive as well between food, toys, vet bills, bedding and more the costs really add up so it is nice to save a few dollars where ever you can. 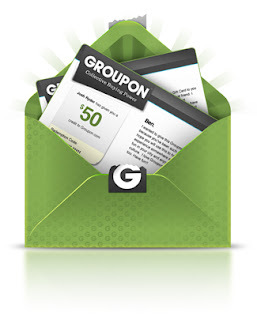 Groupon is a great way to find deals and promotions from some of your favorite stores that you may not be aware are available and you are able to find and access them for free on Groupon. The store I selected for this promo post is Petco and the Groupon page for them can be found by clicking Here. 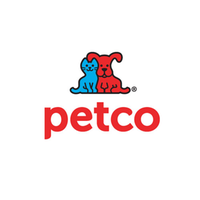 I don't subscribe to the Petco newsletter so I don't usually know what sales they are having instead I usually go to the pet store closest to my house unless I know there is a good deal. Thankfully since I checked out the Groupon link for this promo I spotted that they are having a 25% off sale on all Ferret supplies which is perfect because my ferrets are almost out of food and litter so this would be a great time to stock up. Along with finding great deals that your local brands are offering you can also purchase coupons and offers, the other day I purchased a $10 Dunkin Donuts gift card through Groupon for only $5. Since my fiance and I drink coffee often I thought it was a pretty good deal. Head on over to Groupon and see what deals are in store for you! Love groupon! I like to use it for local restaurants or activities for my boyfriend and I.
I have only used them once but I like looking to see what deals they have. Great coupon and we use Groupon all the time. I've tried Groupon, but I do hear great things about the savings! I have used Groupon also for a few super deals. I will share the Petco deal with my sister. Only used them a couple times, some nice deals now and then. These photos are so cute! I should really remember to check out Groupon more often!